Excellent analysis. Thanks for posting it. Learnt a new scale today. I agree with the main thought that trying to map a raga to every filmi melody is not necessary. It can be done just for fun or as an exercise to improve raga identification, but its not necessary for song appreciation. Raja himself and several others have often mentioned that barring a few songs they dont strictly compose a song with a raga in mind. And often, one finds foreign notes in their songs which are added for embellishment. Chinmayi, I have one more question. Hope you dont mind me asking this .Some of the difficult alaps/brighas that you sang for "ennuyir thozhiye" - how was it communicated to you? I sometimes wonder how good of a singer a music director has to be these days, in order to communicate such a tune. Your humming right after Unni Menon finishes the pallavi - was it played to you on a keyboard or were you asked to improvise on your own, within the given scale(sudhda saaveri, I presume)? Or did the music director sing that portion to you himself? Have the same doubt with the different sangathis of "deivam thandha poove" and the subsequent line. The different ways you have sung them throughout the song-was each sangathi the music director's own creation or were you asked to sing as many variations as possible given the main melody line, and then the appropriate ones were picked by Rahman? Thanks,Chinmayi & Chinmayi's mom for the wonderful analysis.Though I have't learnt classical music, I could broadly grasp your points. * Is the organization of ragas- melakartha scheme based only on the scales of swaras? * Are there shades of 'Malayamaarutham' in the song?? ... somehow i was feeling so! wonderful write-up there!! very informative..and ofcourse, thanks to your mom also..as you said, it is difficult to fix a particular raaga for songs, given the liberties taken( and i dont see anything wrong there..afterall, film music is a different genre altogether) by the composers. however, the greatness of a composer lies in communicating the song effectively to the listener..and further, if the listener can identify the colours/nuances woven, then, its a bonus.. Guess I am the only one who is out of place here - a typical layman. Everything seems like greek and latin. May be someday I will learn these intricacies, even if I dont manage to - I am still able to enjoy the music/songs. In the end that is all that counts. To be frank, to a person who havent learnt anything abt classical music, this post is just (a)அ.. (aah)ஆ.. (e)இ.. (eee)ஈ.. to me. It is a whole different world out there. Coming from a family with no music background. I havent had to chance to indulge fully into classical music. I love the songs i like and appreciate them. thats it. I just used to hum around the songs like ennuir thozhiye, without even knowing anything abt ragas. The songs like them just make us feel elated and relaxed. And given the sheer detail with which your mom analysed the ragas... i felt if i had missed out something very indulging in my life, the classical music. I don know if this is so dumb of me to ask. but could you pls give a short intro abt the ragas and the types? In layman terms.. as it would be very helpful for persons like me.. :-) seeya. one which happens in the second section. So your association of Malayamarutam is fairly correct.Only a deeper and a pinpoint analysis indicates this tune to Varnarupini. The Raga system is basically charted into Mela Janya Scheme in the south and Thaat system in the north. Mr. Vijay Iam glad to see your sharp gnanam in music. Keep it up. Chin will answer your questionj to her. -Padmasani. As you know, There are 72 Mela Kartha raaga, each of them inturn yielding some child raagas. Now in the Sangeetha Shasthra (as quoted in the book by Mr.AS Panchapa kesa Iyer and many other sources) each kartha raaga can yield 483 Child raagas resulting in a total of 34776 raagas(72 x 483). Its based on the logic of keeping Sa and Pa as constants in a mela kartha scale and arriving at various permutations & combinations of Sampoorna, Shaadava and Oudava Raagas in arohana & avarohana. But in my humble opinion, this figure of 483 child raagas per kartha is not a set of 483 unique raagas, for, there will be atleast 25% of raagas(top of my head figure) that will be redundant. What I mean is, a Raaga like Mohanam, which is officially a janya raaga of Hari Kambodhi (No: 28) could easilly have been a child raaga of many other kartha raagas with a Big Ri, Big Ga and Big Dha... say, Shankarabharanam, Kalyani, Vachaspathi etc., Therefore in my humble opinion, the figure of 483 per kartha raaga is not unique and will have many redundancies. Therefore what are the proper number of 'Upanga Raagas' possible from the mela kartha raagas. Is there any formula to deduct the redundancies and arrive at the abolute number ..? Note: I'm only talking about the Upanga raagas here. I understand when you include Bashanga and Vakra raagas, the number of child raagas could be infinite. My second doubt is, same as the first one except for the factor that, the first one is based on redundancies and the 'absolute number' perpective and the second one is based on - claiming the 'motherly status' perspective .. What I mean is, How come Mohanam's mother is fixed as 'Hari Cambodhi' where as it could well have been a Shankarabharanam. I know its something to do with 'Bhaavam' or the 'color of the swara' as you put it. But I couldn't comprehend any distinguishable factor why its fixed as 'Hari Cambodhi'. Lets take another instance. Why is Hindholam a child of Thodi, whereas to my ears it sounds perfectly alright when I co-relate it as child raaga of 'Natabhairavi' or some such western scale minor Raaga. So can you please explain a bit about how is a child raaga associated with a kartha raaga, though there is no validity of ownership to a 'particular' kartha raaga. Thanks Mrs.Padmasini, for clarifying about M.Marutham & Varnarupini. I am eagerly awaiting ur musical column in this site. Consider another example, Malayamaarutham. It is a Madhyama varja raga derived from the 16th melakarta Chakravaaham. The designation of the parent ragam as Chakravaaham is subjective since the Madhyama varja raga derived from the 52nd melakarta Raamapriya is identical to Malayamaarutham. The problem is that Chakravaaham and Raamapriya differ only in Ma and since Malayamaarutham is Madhyama varja, it can be derived from either. In such cases, the gamakas used in the janya raga have to be studied to decide which of the melakartas is appropriately described as the parent raga. This problem is compounded in the case of Baashaanga ragas which are anyway derived from multiple melakartas. In any case, the assignment of a parent melakarta is somewhat subjective and various experts often ascribe different parents for a given janya raga. A well known example is the ragam Mohanam, which has an arohanam - avarohanam of Sa - Ri - Ga - Pa - Da - Sa, Sa - Da - Pa - Ga - Ri - Sa, using Chatusruthi Rishabam, Anthara Gandharam and Chatusruthi Dhaivatham. Various authors have classified it as a janya ragam of Harikaambhoji (melakarta no. 28) and Mechakalyaani (65) and more are possible. It is a matter of individual viewpoint as to which is the parent ragam. As long the distinct swaroopam is maintained, it really does not matter what is assigned as the parent ragam. The strength of notes is also an important deciding factor in Janaka-Janya relationship. One good example is Raga Mohanam. It is listed as the Janya of Harikambhoji, the 28th Mela. Many feel it should be a Janya of Kalyani, the 65th Mela. Both Kalyani and Harikambhoji have Chatusruti Dhaivatam. but Kalyani D sounds stronger, as it is accompanied by Kakali Nishadham. Harikambhoji's D sounds debilitated as it is accompanied by Kaishiki Nishadam. As the D of Mohanam is equal in strength.to Harikambhoji's D, it s said to be a Janya of Harikambhoji. In conclusion I would like to add that these finer points are best learned from a face-to-face session or live demo..
As a suggestion, I think for some of the general questions on classical music we can try our best to cull out information from elsewhere on the net before posing the question here. We would all be better served to ask raga-specific or song-specific questions here. oh my god..that was awesome..mind bogglin..yeah..i could not understand a thing..but i dont care..i enjoy my music..whether i understand it or not..
thanks to u and ur mom, for giving such a wonderful post!!! Vicky, Karatakam and Vijay, you folks have thrilled me with the sweetest feeling that probably my musicological atrophy is coming to an end after all. Way back in late 70s, when I took to musicological studies, my first assignment was melas. God, I had a whole new concept and impressions about Mela and Janya. At that time, if I had presented or published my works I would have been buried long long ago. People were fanatically attached to the then existing theories. Nascent as I was, I did'nt dare my impressions & expressions. Vicky You are reflecting some of my ideas. This makes me feel very happy. I have so much locked up in my brain waiting to - rather craving to share. I rise up well for questions. 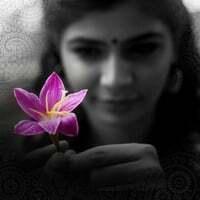 We shall open a seperate discussion forum for music and musicology and link it to Chinmayi's blog. I feel very bad occupying a youngsters space in a big way. The not so serious readers might get bored or even erritated. I also want an audio support for the lines that I write so that it can be a captivating one. Now about ragas in a nutshell. janya. The first step to convert a scale into a raga is to assign an organised arrangement of these swaras into ascent and descent within one octave. A mere aroha and avaroha do not come anywhere near a raga. The identification of the dominant note/s, the swaras which lend typical colour and character, the type of gamaka etc are to be specific. Then the rupa of the raga is established on a broad sense. The next step is a process of permutation and combination of these notes in a raga. Eschewing the non agreeable phrases, selecting the often repeated phrases and notes, the pitch positions, range and singing technique of the note or phrase etc. is called the ragasputam. Even here, the raga end on a theoritical note of excellence. When a singer or a musician adds his aesthetic exuberance personal cadence the raga emerges into a glorious life. Ya. I agree with you about a janya could be ideal under which mela. I am so glad I am replying this comfortably now without any fear. But I had to wait for a good 30 years!!! While there are many websites that explain Carnatic theory, none provide insight about its role in Film music (except for maybe naming ragas used in songs). And for 'paamara makkal' like myself, that will always be the best point of reference. This is an excellent write-up in the sense that it establishes your credentials as a person of knowledge, while underlining the fact that you don't have to be one to appreciate good music. But analysis like this, while it probably doesn't really make the song any more enjoyable, atleast enhances one's appreciation for the mind that created it. And this write-up does just that. Of course, for someone like me, it'll take one too many readings(spread over a few years) for all the nuances to sink in, but for many others, this is probably like reading a long-lost reference book on their favorite subject. Thanks for taking the time. Thanks a lot for your prompt responses. It does clear the fog to some extent. But I'm sure there is enough room for more discussion on this topic. I totally agree with your suggestion that we can take it offline. I will keep my e-mail updated in the blog profile. Do keep me in loop whenever you comeup with a seperate thread for the same. I learnt the formal definition of what is a swarakshara through a simple yet powerful demonstration. thanks for writing something that is truly informative.. Some years ago when I was traveling to US on an assignment I had the luck to be seated next to Raja Ramanna. He took a nuclear physics session with me telling about fusion and fission and he made that lesson so lucid and simple. I felt humbled such an eminent scientist should take the pains to share so much with me. Your Ma seems to be one such person :) I didn't understand a word about the intricacies of music but nevertheless I enjoy music. Very nice article.Enlightening,thanks for posting it. Chinmayi, it would be very nice if you could answer Vijay's question addressed to you...I have often thought along the same lines and wondered how it is done. Also, ma'am could you pls explain why Mohanam is considered a janya raga of HariKambodhi, rather than, say Shankarabaranam..what is the distinguishing factor here,as in phrases that suggest the former? With my limited knowledge in music I felt these 2 and Amudhae thamizhae were all Rasika Ranjani. Can you please elaborate. Kudos to Chinmayee and her knowledge in Music! I agree with her point that one should enjoy & appreciate the beauty of a song based on classical raagas instead of dissecting it and exploring further! May God bless Chinmayee!